New roles and responsibilities, expansion of practice areas and changes in insurance patterns have meant increasing professional liability risks for nurse practitioners, one of the four major types of advanced practice nurses. 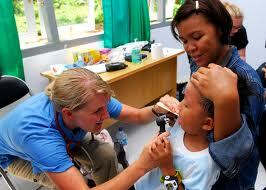 Others include nurse anesthetists, nurse midwives, and clinical specialists. Nursing malpractice claims are increasingly targeting these advanced practice roles. Med League receives several calls a year from medical malpractice attorneys looking for nurse practitioner expert witnesses. As the role of the advanced practice nurse has continued to grow and expand, the autonomy of these professionals for the decisions they make and the care they render to patients changes. Nurse practitioners (NPs) may be found delivering primary care in malls, free standing clinics, or in association with a physician group, or making rounds in a hospital or nursing home. They may hold one or more certifications and are expected to keep current within their practice areas throughout continued education and continuing clinical involvement in their specialties. They must have a thorough understanding of the standards of care and the regulatory and legal obligations of their practice area. In the past, nurse practitioners’ liability was limited because they functioned under the direct authority of a physician. Thus, their involvement in a liability claim was typically secondary to the primary claim against the physician. The view of the advanced nurse practitioner as a primary target of litigation shifted as federal, state, and regulatory agencies legislated increasing levels of autonomy for the NP as an independent healthcare provider. All levels of regulatory, judicial, and credentialing agencies continue to struggle with identifying areas of overlapping responsibilities between advanced practice nursing and medicine. The types of claims that bring attorneys to our office in search of a nurse practitioner nursing expert witness usually relate to failure to diagnose, failure to treat, or improper treatment. We have heard of physicians dropping their professional liability insurance in favor of allowing the nurse practitioner to carry coverage, which is usually much less expensive than the policies physicians carry. We see a strong trend towards bringing NPs into suits. The discovery process includes the review of practice guidelines, job descriptions, and other documents related to the functioning of the nurse practitioner. The advanced practice nurse is increasingly being held accountable for following the standards of care. It is true that nurse practitioners these days are having to consider malpractice the same way that physicians do. This can certianly add to teh cost of practice. You are right. Increased risk equals increased costs.